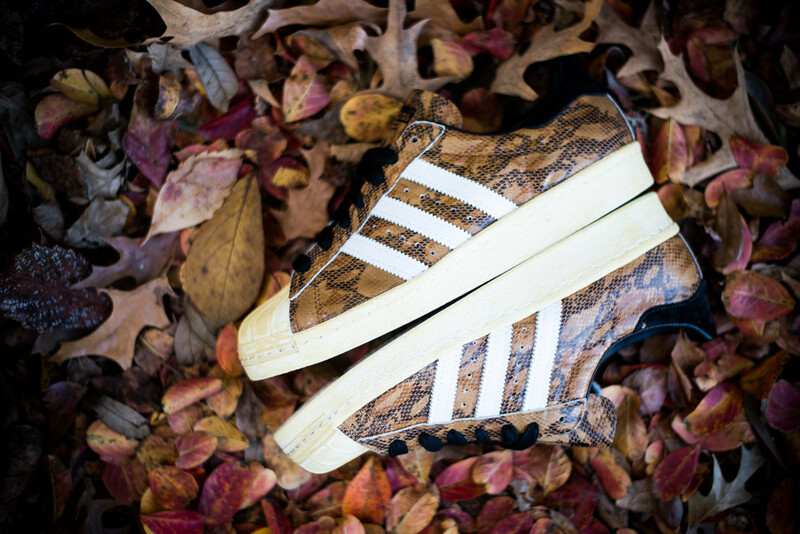 The staple Superstar 80s arrives in a new snakeskin colorway. 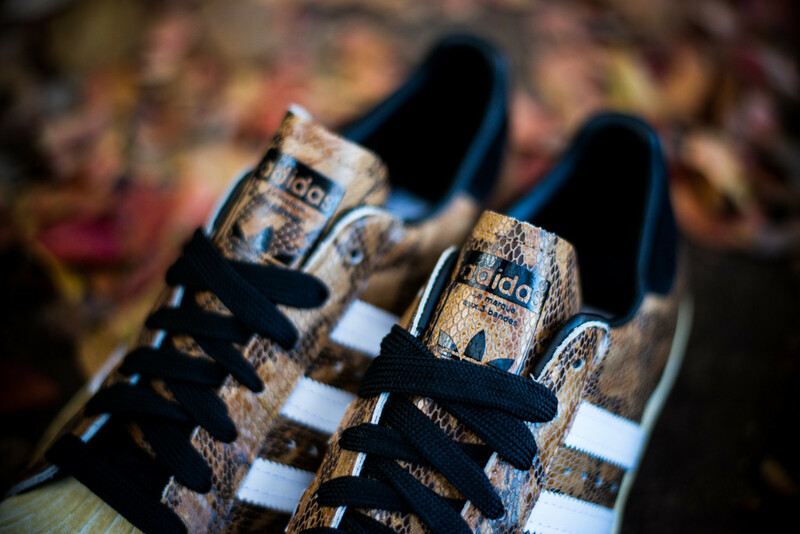 The new adidas Originals Superstar 90s 'Brown Snake,' first previewed last fall, is now available at select retailers. 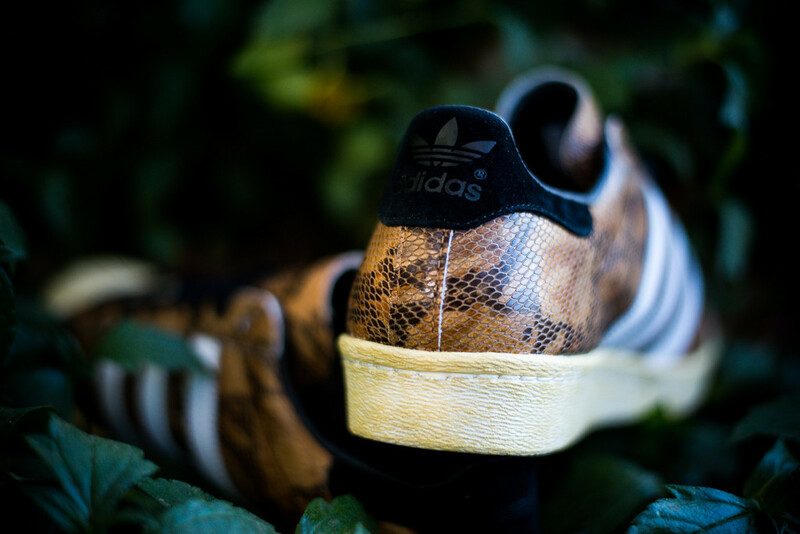 The Wheat / Running White / Legacy Brown colorway features a full snakeskin upper paired with an 'oxidized' shelltoe/midsole combo. 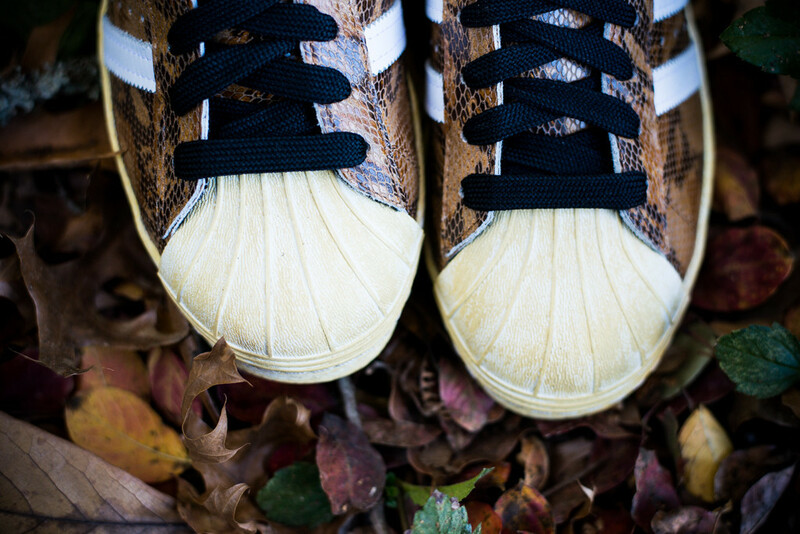 White leather and black suede accents complete the look. 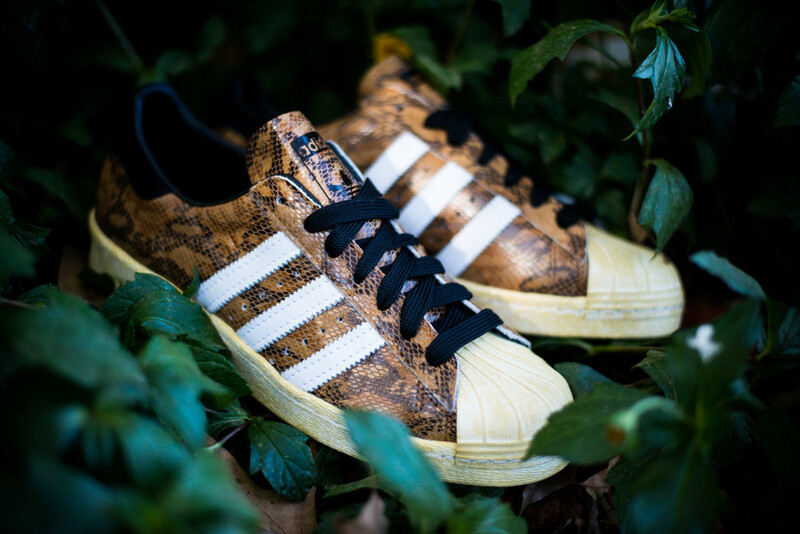 The adidas Originals Superstar 80s 'Brown Snake' is available now at Sneaker Politics and other select Originals accounts.